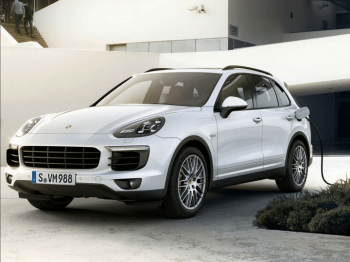 When introduced in 2003, the Porsche Cayenne achieved a number of “firsts.” It was the first two-door from the iconic brand, and, perhaps more notably, its first sports utility vehicle. Some were wary of the new release: a Porsche SUV? But when the Cayenne rolled into showrooms, fears were allayed. This vehicle was Porsche through and through. So is the new 2018 Porsche Cayenne e-Hybrid. As an e-Hybrid, the Cayenne features a 3.0 liter V6 forced induction engine, coupled with a 95 hp combustion electric motor. Total output is an impressive 416 hp and 435 lb-ft of torque. The 2018 iteration takes you from zero to 60 in just 5.4 seconds. In terms of efficiency, other innovations such as recuperative braking, thermal management, and E-Charge and E-Power buttons combine to deliver stellar fuel economy. Here’s what we know about the upcoming addition to the Cayenne family: it will have a new cabin air filter that ensures top air quality, whether you are driving by the ocean or through the middle of a crowded city. You will also have ample cargo space for your gear. LED lights, 18” wheels, 40/20/40 split folding rear seats, and a power liftgate are among the array of features that make the Cayenne ideal for families, busy professionals, and those plotting their next adventure. This may be a hybrid, but performance is the name of the game. The Cayenne will feature an 8-speed Tiptronic S with auto start/stop, Porsche Active Suspension Management, Porsche Traction Management active all-wheel drive, and other features designed to enhance the drive. Eco-friendly operation, stellar features, and Porsche performance: this makes the 2018 Porsche Cayenne e-Hybrid a force to be reckoned with. So get reckoning – visit us to inquire about favorable Porsche lease specials.